Jonathan Roberts has been the accompanist at QPCC since 2014. He holds a Doctor of Musical Arts Degrees in performance from the University of Alabama. 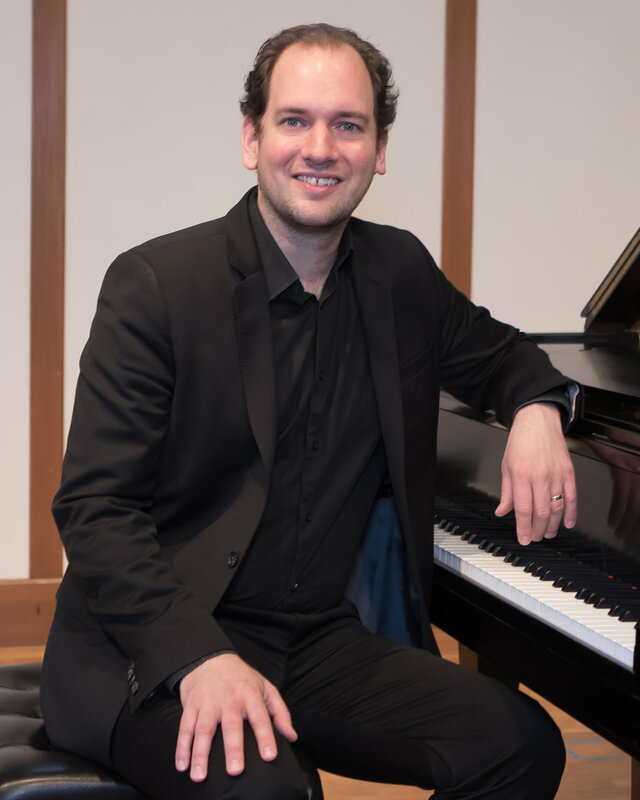 Jonathan has a passion and talent for performing as a collaborative pianist and has given concerts with renowned artists such as Mark O’Connor, Angella Ahn, Eugene Friesen, and Julia Dinerstein. He has performed solo and chamber recitals throughout the eastern United States. In 2008 he formed the Stardust Duo with his with violinist wife, Amanda Smith Roberts. They named the duo after Hoagy Carmichael’s jazz tune Stardust, the husband-and-wife team specialize in performing classical works influenced by popular musical styles such as jazz and blues. Currently, Jonathan runs his independent studio from his home in South Weymouth, having previously chaired the piano departments at the South Shore Conservatory.